But alas, Valls’ noble remarks were not echoed by a single senior French government spokesman. 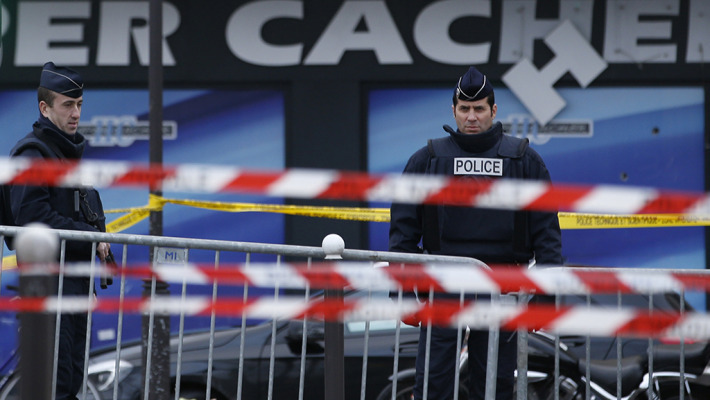 On the contrary, President Francois Hollande, while conceding that the kosher supermarket murders were anti-Semitic acts, refused to even hint that this was an act motivated by Islamic radicalism. He mumbled about “obscurantist” forces and even insisted that “those who committed these acts have nothing to do with the Muslim religion” and that the “main victims” were Muslims. More galling for French Jews was the absence of comparable national demonstrations of sympathy or solidarity concerning the anti-Semitic violence and murder suffered during the preceding two years and their unanswered appeals for increased security. The authorities were far more concerned with their attempts not to offend Muslims than with defending and protecting the besieged and victimized Jews. Further evidence of this was reflected by the despicable manner in which Prime Minister Benjamin Netanyahu was treated. Initially, Hollande had the gall to suggest that the Israeli leader, at the frontlines of the international struggle against Islamic terrorism, absent himself from the global leadership gathering because his presence would introduce the “divisive Israeli-Palestinian” issue. That he could make such a request to the head of the Jewish state in the wake of the brutal anti-Semitic carnage, was mind-boggling. To make matters worse, when Netanyahu made his intentions clear that he was attending, the head of the French National Security Council responded that Israel would face dire consequences and immediately invited Palestinian Authority President Mahmoud Abbas to demonstrate “even-handedness.” Hollande subsequently also displayed his feelings when he and his government delegation departed from the Grand Synagogue just prior to Netanyahu’s address. Hollande welcomed the presence of the corrupt and duplicitous Abbas, who exemplifies the suppression of free speech which the demonstration was condemning. But more importantly, he personally endorses the very murderous anti-Semitic attacks that Hollande condemned. The French and the other European leaders are aware that Abbas formed a union (which failed) with the genocidal Hamas, which calls for the murder of all Jews. He incites vicious hatred against Israelis, pays salaries to murderers of innocent civilians, provides pensions for the families of suicide bombers, and glorifies the most barbaric terrorists. Hollande is aware that this abhorrent Holocaust-denier only recently sent a formal condolence note to the family of the terrorist who sought to murder Rabbi Yehuda Glick. Also in attendance was Turkish Prime Minister Ahmet Davutoglu, who engaged in anti-Israeli diatribes, accusing Netanyahu of committing crimes comparable to the Paris terrorist attacks. His anti-Semitic president, Recep Tayyip Erdogan, a supporter of Hamas, who accuses Israel of being a rogue terrorist state and Netanyahu a mass murderer, stood side by side with Abbas the following day. In this context, one must evaluate the future of French – and for that matter European – Jewry. Can French Jews feel assured that the stirring condemnation of anti-Semitism by Valls means that Jews will be more secure in the future? Hardly. Valls is a loner, unable to turn the tide. But hatred of Israel has become endemic and the media will continue applying double standards against the Jewish state, which invariably intensifies anti-Semitism. Hollande and his left-wing supporters distinguish between terrorists who kill Frenchmen and those who kill Jews residing in Israel. 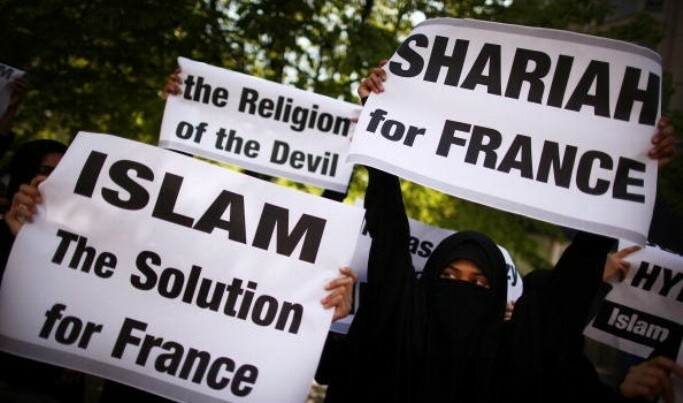 French Muslims today represent a crucial pillar of support for the socialists, and no matter how they behave, Hollande will continue groveling to them. The fact is that Jews are targeted and murdered because they are Jews and the community is increasingly surrounded by enemies, including homegrown killers with combat experience gained fighting for jihad in Syria and Iraq. Major synagogues were even closed on Shabbat to avoid pogroms, which have previously taken place. The president of CRIF, the French Jewish community, Roger Cukierman, voiced appreciation that 10,000 French troops were being deployed to protect Jewish schools and institutions. But he pointed out that when schoolchildren need to be protected by army personnel with machine guns and parents fear for their children’s lives, such conditions inevitably spur aliyah. Jews are terrified and often feel obliged to conceal their identity, assimilate, or, worse still, endorse the obscene manner in which their people are being treated. It is hardly the environment for Jews to live in or bring up children. 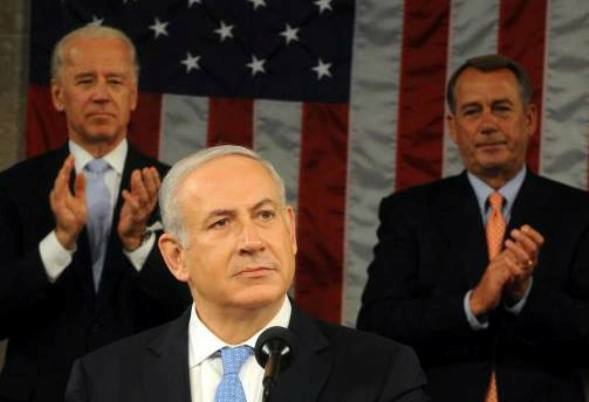 In this context, one must congratulate Netanyahu. His message to French Jews was enormously comforting, as could be seen by the enthusiastic response he received. His call to French Jews to make aliyah was mandatory for the head of a Zionist state and opinion polls show that over three-quarters of Israelis endorsed his involvement. The attacks on him for “embarrassing” the French were to be expected from the global and Israeli Bibi-hating media. Some Jewish critics were reminiscent of the pre-war Polish Jewish Bundists who opposed Zionism, calling on Jews to remain in Europe to fight for socialism. Today, they argue that Jews must stay in Europe to fight anti-Semitism and that aliyah would represent a victory for our enemies. Some Diaspora Jewish officials resembled their counterparts prior to the Holocaust who condemned Jabotinsky’s calls to evacuate Europe as hysterical. A “leader,” Rabbi Menachem Margolin, director of the European Jewish Association, even condemned Netanyahu for his “Pavlovian calls for aliyah after every terror attack,” demanding that “Israel increase security” for European Jews, calling for Jews in Europe to be entitled to carry weapons to defend themselves. What extraordinary words to come from a heroic former Prisoner of Zion. If the chairman of the Jewish Agency does not call directly on Jews to make aliyah when living under such terrible conditions, the organization should be closed down. Zionists do not seek to eliminate the Diaspora. Besides, we know that, short of mass exterminations, God forbid, the Jews of Europe are not all going to make aliyah overnight and Jewish communities will remain. Of course we prefer aliyah based on choice rather than last resort. But the writing has been on the wall for years. Those wishing for a full Jewish life and a desire to bring up proud Jewish children have no future in Europe. Those with financial means or with professions that can be utilized in Israel should indeed pack their bags and come now, as the situation will only deteriorate. Those unable to make aliyah should at least encourage their children. Instead of negating its historic role, the Jewish Agency should be at the head of the pack endorsing Netanyahu and promoting plans to enable all Jews, including those facing financial constraints, to consider aliyah as the means of resolving their current predicament. Some anti-Netanyahu politicians, including the ubiquitous Tzipi Livni, accuse him of embarrassing and offending French and European leaders by calling for aliyah. Tough! Let them be embarrassed. Besides, they have already largely abandoned us. Our obligation as Zionists is to call on those who can to join us now. To equivocate over calling for a mass aliyah of Jews under terrible duress is bizarre and a repudiation of the Zionist DNA. One need only observe the response of French Jews at a grass-roots level to see how appreciative they were of Netanyahu and his message. The very fact that the families decided to bury all four Jewish victims in Jerusalem is resounding proof. But we pray that we continue to welcome only living Jews from France to their historic homeland.